Display: The Intex Octa Core smartphone will feature a capacitive HD IPS touch display of 6 inches that will offer a display resolution of 1280 x 720 pixels. This smartphone will be about 7 mm thick and will have a bezel of 2.6 mm only. Processor: This smartphone has been powered by MediaTek Mt6592 octa core ARM Cortex A7 processor clocked at 1.7 Giga Hertz along with 700 MHz Mali450-MP4 Graphic Processing Unit that will ensure super fast and smooth functioning. Operating System: This device will run on Android 4.2 Jelly Bean platform. Memory: The Intex Octa Core smartphone will sport a RAM of 2 GB. In terms of internal memory, it will be available in two variants: 16 GB and 32 GB. Camera: This smartphone has been loaded with a rear camera of 13 mega pixels with LED flash, auto focus and 1080 pixel HD video recording features. It also provides a front facing camera of 5 mega pixels than enables you to make video calls. Connectivity Features: The connectivity features incorporated in this smartphone are Bluetooth, Wi-Fi, A-GPS and 3G HSPA+. Other Features: Dual Yamaha 1420 speakers have been embedded in the Intex octa core smartphone. Our Take: Intex Octa Core smartphone appears to be very capable gadget that offers really cool features. Its octa core processor will make it stand out in the market. So far, no name has been given to this device nor has the price been revealed by the company. 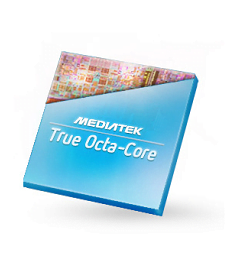 lets enter into next level speed and smooth processor with octa core …. welcome….